North of Tablas at dive site Guindauahan Island. 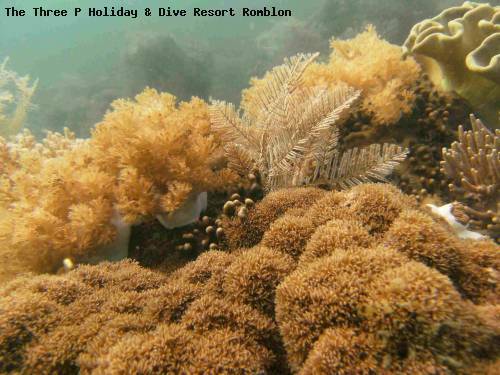 Best dive-season / How to get there: This spot can be reached in 80 to 90 minutes from Romblon Town or Lonos, Romblon 12 months a year. North of Tablas, near Guindauahan Island, is an exciting large reef with various interesting formations and an outstanding display of corals and marine life including turtles, rays, eels, scorpionfish and more. Outstanding bottom topography makes for great photo opportunities.